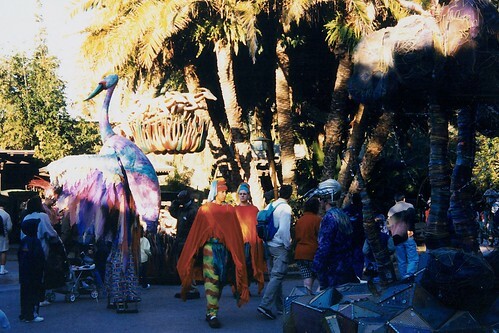 Above: We got to Animal Kingdom at opening and they were doing some kind of opening ceremony but it took place beyond the turnstyles and by the time we got it it was pretty much over, still it was kind of neat to see the bit that we did. 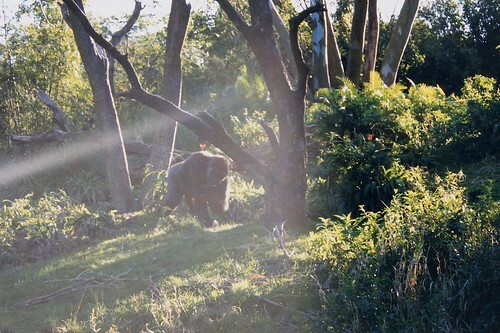 Above: We chose to do the Pangini Forest Trail rather than Kilimanjaro Safaris, and that seemd to work out pretty well for us, one of the nifty features of this trail is the sort of "aquarium window" that looks into the hippos pond. 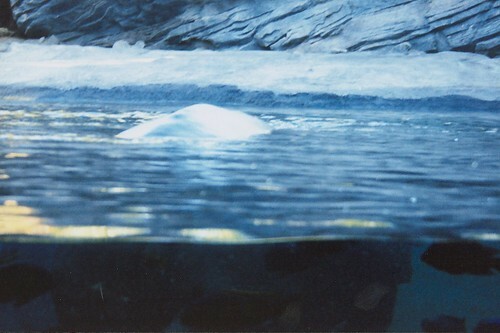 Above: Here's anothe look into the Hippo pond that gives a little more idea of how much is also visable ABOVE the waterline. 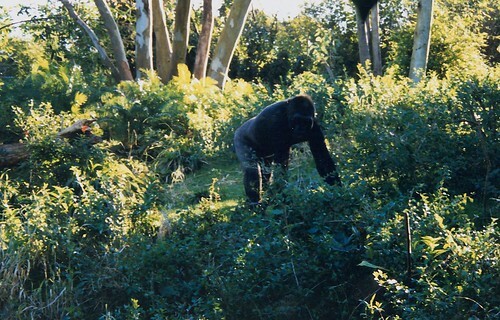 The gorrillas section of the Pangini Forest Trail was really hopping this morning lots of gorrillas and they had some food which seemed to be heads of lettuce or cabbage if I recall correctly. 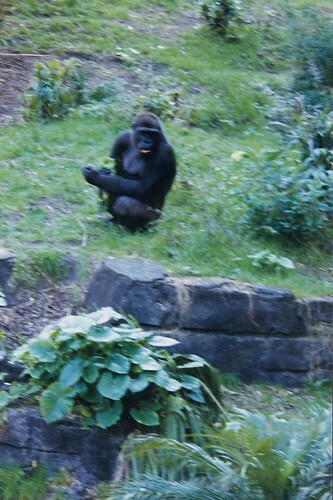 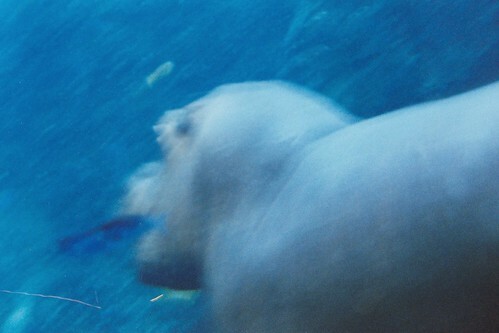 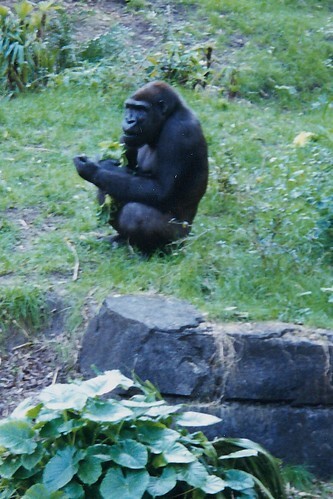 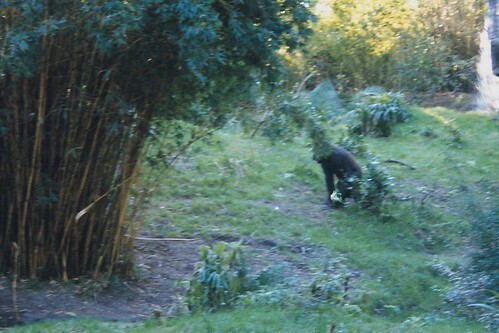 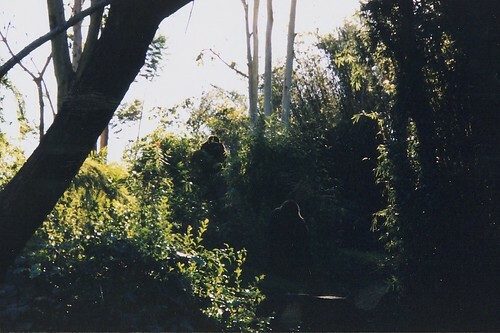 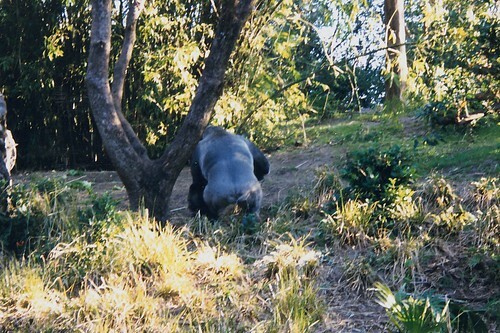 Above: this is one of the few shots that actually shows that the gorrilas food they were eating.